What is the Difference between the ST224P and the ST224 ? What motor is in the ST224P? How loud and heavy is it? 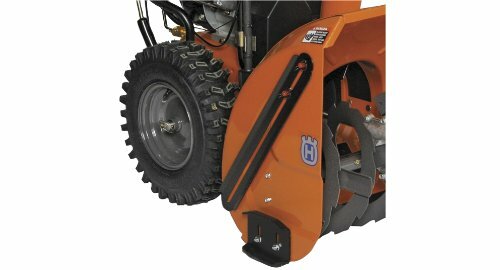 What is the drive mechanism on the Husqvarna ST snow blower? How much snow can the ST224P move? Are there any problems with the Husqvarna ST224P? What accessories can I get for this blower? What maintenance will I need to do on it? How long is the warranty on the ST224P? What are the specifications of the Husqvarna ST224P Snow Blower? What are the Pros and Cons of buying the ST224P? It's a bit of a monster with a wide cut, masses of torque and lots of useful features to make clearing snow almost fun again! We're going to take a closer look at the Husqvarna ST224P so that you can decide if it's the right snow blower (also known as a snow thrower) for you. If you think the ST224P might be too powerful for what you need then check out our ﻿﻿review﻿﻿ on the best two stage snow blowers for some other recommended models. Not everyone needs a snow blower, until you get a place with a driveway in an area where it snows a lot that is. We guarantee that before long, you will start looking at them. If you have a large driveway to clear and possibly lots of pathways or sidewalks as well, then a 2-stage snow thrower is going to be the type to look at. The Husqvarna ST200 range has been built with you in mind. These very capable machines can clear snow from large driveways and paths with relative ease and no fuss. It also does not matter what the surface is as the adjustable skid shoes enable you to set it up for tarmac, gravel, dirt or block paving for instance. Currently boasting 4 models, the ST200 range has something for all homeowners. The ST224 and 224P have a 24-inch wide cut whilst the ST227P is 27 inch. The top of the range model is the ST230P that has a 30-inch wide cut. The model that we are going to look at is the best all-rounder for most people and has all the features you could want on a mid-range snow blower plus some you might not expect to see. The impressive torque of 9.5 lb-ft and power steering means this is a machine built for tough snow clearing jobs, whatever the elements might throw your way. Another feature that may not seem that important at first is that the handles are height adjustable. There are not many that offer this, even amongst top end models. It makes using one so much easier compared to a fixed handle machine especially if you're under 6 foot tall. and the 224 doesn't have power steering. The power for the Husqvarna 224 is provided by an engine made by LCT. This model uses a 208cc 4-stroke motor that provides a powerful 6.3hp and has that impressive torque rating of 9.5 lb-ft. The engine comes with a 5-year warranty that is separate from the warranty for the rest of the blower. Interestingly, Husqvarna also offers a 5 year ‘guaranteed to start’ warranty on their engines. You’re pretty much covered for any problem with the engine we think! The fuel tank holds around 0.71 gal (US) which is reportedly enough to get you through a long session of snow clearing without running dry. If you've ever suffered the frustration of trying to start a gas-powered engine in the cold with a recoil system, you are in for a pleasant surprise. This motor has an electric starter that you just plug into a standard wall outlet. Follow the instructions in the owner’s manual for easy starting whatever the weather. There is also a standard hand operated recoil starter as well should you need it. The ST 224P is rated at 88.4dB(A) at the operator's ear level. Around the same level as a loud gas powered lawn mower. It's a lot quieter than older models though thanks to the improved muffler system. However, it's still loud enough to need ear defenders. In fact, we recommend you always wear hearing protection when using gas-powered snow blowers. Just a few hours use without it can cause hearing loss. Weight wise the snow blower comes in at a hefty 198.6lbs. Not surprising really considering the dimensions of 58.5 in (L) x 24 in (W) x 40.5 in (H). That's some serious weight to move around so it's a good job the blower has powered wheels and a form of power steering. The big 15" wheels have oversized X-Trac heavy tread tires fitted to them for plenty of traction in all types of snowy weather. The wheels are driven by a friction disc drive system with six forward and one reverse gear. Another big plus for the ST224P is that it has a form of power steering to make it easier to turn corners. The way this works is that there is a trigger for each wheel on the handlebar. When the trigger is pulled in then it disengages the drive from that wheel. The drive on the opposite wheel will then turn the mower. Simple but effective, it's something you will come to appreciate as you see other people struggling to turn their snow throwing machine around. You can also us this system to disengage both wheels (by pulling in both triggers) for when you want to manually wheel the snow blower. Many people find this useful to pull the machine backward instead of using the rather slow reverse gear. This blower is powerful. No doubt about it. How to measure the snow clearing capacity, however, is a bit tricky. There's not really an industry standard to be able to compare how much snow these blowers can clear. Some quote pounds of snow per hour, others don't. Even the ones that do use different ways to measure it so it's pretty meaningless anyway. Others quote the torque of the snow blower or the horsepower (hp) but again, these are not that helpful. Using these together with the cubic capacity of the engine can certainly give you something to compare how powerful different blowers are though. What we do know is the width and height of cut which for the Husqvarna is 24 inches and 12 inches respectively. These measurements are obviously dictated by the length and diameter of the auger. The intake housing is actually twice as high as the auger on this model so it can actually handle more than 12 inches depending on the type of snow. The best way to illustrate the clearing capability is to look for real examples of how they perform by the people that use them. One reviewer we found reported that he cleared a ½ mile long, 2 car driveway of 12 inches of snow in around an hour. That should give you some idea how good this machine actually is! One last important thing to look at is the auger itself. The auger on the ST224P is a ribbon type rather than a stamped metal variety. This makes the auger much more open and mixes air into the snow as it chews it up. In turn, this makes it easier to handle and means the blower can throw it a greater distance. The blower comes 95% pre-assembled so this should only take you around 15 minutes to complete. Basically, all you will need to do is to flip up and secure the top part of the handle. Then install the discharge chute and remote controls for it and finally check the tire pressures. Just follow the straightforward instructions in the user manual. Note that the tires are overinflated for shipping so you need to drop these down to 14-17PSi to get the best performance. Then you just need to check the oil which according to the manual should already be in the machine. Make sure you do take a look though as some customers have reported that it only comes with a minimal amount of oil and may need topping up. Then it's just a case of adjusting the skid shoes to the right height, adding some gas and away you go! We've taken a good look at all the review sites and overall, most people are more than happy with the performance. Starting the engine has been made so much easier these days by the introduction of an electric starter and the one on this model works very well. When you're away from a power outlet there is a standard manual recoil provided as well. Husqvarna claims it should only take one or two pulls to get started so pretty good all round. It's a heavy machine and is a large piece of kit to push around, but there are some nice features that make this manageable for most men and women. If you are over 5 feet tall, have use of both arms and legs and are mobile then you can handle this blower. The power driven, oversized wheels with deep tread tires are one factor but the nifty power steering is what really helps. Being able to adjust the height of the handles is another important feature that makes this easy to maneuver. Something else you may not have thought about is the 'wrap-around' design of the handlebars. This means the grips will not snag or get caught up in your coat pockets when turning. A small thing but anyone who's used one with the traditional type of handle will know what we mean! The big central console is one of the best we've seen on a snow blower and everything is within easy reach. All the oversized knobs and handles make the controls glove or mitten friendly too. The remote chute controls work well and allow you to change both the direction and height of the snow stream from the console. The direction is controlled by rotating the chute and the height by changing the angle of the chute deflector. A blocked chute can easily be cleared with the tool provided that clips to the top of the auger housing so that it's always to hand. Be warned though that this machine will throw snow up to around 50 feet so be careful where you aim it! We also like the idea of the heated handles as well, unfortunately, they are not up to much. Husqvarna may have been better off putting a solid rubber coating on the metal handlebar instead to help keep hands warm. Still, they are a nice feature and it's better than not having them at all. If you need to clear snow after dark or before the sun comes up, you will appreciate the dual LED headlights on this model. They are bright and effective and set up in such a way as to avoid a shadow being cast by the discharge chute. The auger control locks in the engaged position when both drive and auger are engaged at the same time. That means you can change the chute direction with your right hand or blow your nose for instance whilst still moving forward and clearing snow. Like all snow blowers, the type of snow and how you handle it can affect performance. Here are some tips from the Husqvarna manual on how to get the best from your snow thrower in case you are new to this. 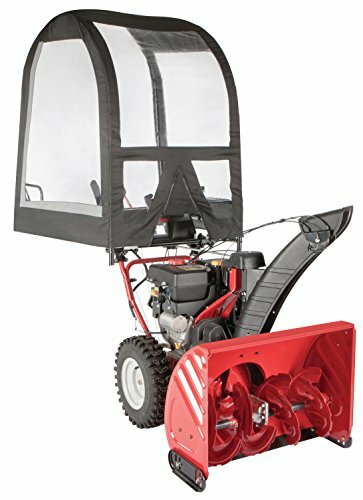 • Always operate the snow thrower with the engine at full throttle. Full throttle offers the best performance. • Go slower in deep, freezing or heavy wet snow. Use the drive speed control, NOT the throttle, to adjust speed. • It is easier and more efficient to remove snow immediately after it falls. • The best time to remove snow is the early morning. At this time the snow is usually dry and has not been exposed to the direct sun and warming temperatures. • Slightly overlap each successive path to ensure all snow will be removed. • For extremely heavy snow, reduce the width of snow removal by overlapping the previous path more and moving slowly. • Throw snow downwind whenever possible. • Adjust the skid plates to the proper height for current snow conditions and the terrain being cleared. • Keep engine clean and clear of snow during use. This will help air flow and extend engine life. • After snow-throwing is completed, allow the engine to run for a few minutes to melt any snow and ice covering it. • Clean the entire snow blower thoroughly after each use and wipe dry before storing. Older models (those bought 2014/2015) did have a problem shredding the auger belt fairly quickly. Husqvarna issued a technical bulletin to their dealers about this and most repairs were done under warranty. Most snow blowers will throw a belt now and again and more recent models of the ST224P do not appear to be any worse than other brands as from the research we have done. If you do get a problem, following the instructions in the manual or in this video from Husqvarna to replace it will solve the problem. Some reviewers have commented on the fact that the scraper blade is not adjustable on this model. That means in rare cases, it will leave about a 1/8 inch of snow still on the ground that will need brushing away if you need it completely clear. Even with the skid shoes adjusted as low as possible, you may still find this happens but most people are fine with this. Apart from that most of the issues seem to be generic problems you get with gas powered snow blowers and not using them properly. There are several accessories available from Husqvarna to make your life even easier. If you have some steeper slopes to clear you may appreciate some snow chains to fit on the wheels. The tires are 15x5.00 so check on Amazon for some that will fit. Husqvarna does not seem to supply them for the 15-inch wheels, unfortunately. A Drift Cutter Kit will help knock down any deeper drifts in front of the auger housing so that it can be gobbled up by the snow thrower. The Drift Cutter Kit for Snowblowers with 24", 27" and 30" auger widths - P/N 532 18 36-14 is the one to get, you can find that here. 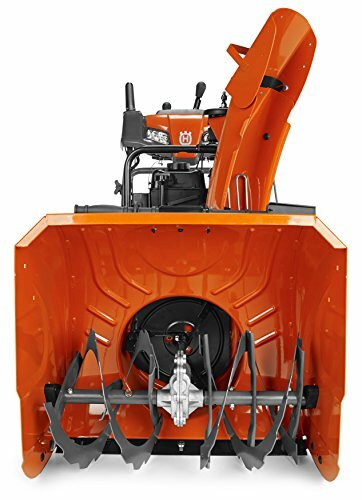 If you are tired of ending up looking like a snowman by the time you've finished, then maybe a Snow Blower Cab is an accessory you will appreciate. Look for the one with P/N 531 30 82-01 to fit this model. Finally, in our selection, you can also get a cover to keep your ST224 in top condition in storage. Part number 582 84 63-01 is the one to get for this model. Apart from that, you will want to invest in safety goggles, ear protectors, and gloves. You can also buy replacement skid shoes (P/N 583 83 88-01) whenever you need them. It may be an idea to also order a spare auger belt (P/N 501 81 82-01) and a spare drive belt (P/N 584 21 61-02) for your blower just so you have them handy. Note that those are for 2016 models, you should double check your manual for the correct part numbers as these change with new model variants. The Husqvarna website has download links for all the operator (OM) and part number (IPL) manuals in case you don’t have one. There are few maintenance tasks you will need to do regularly, depending on how much you use the snow blower. The owner’s manual has a detailed breakdown of what and when to do things. • Clean and dry the outside of the machine after each use. • Check that the controls all work properly. • Check that nuts, screws and fasteners are tight. • Check that there are no fuel leaks from the engine, tank or fuel lines. • Keep the machine lubricated as per the lubrication schedule. If you are comfortable following simple instructions, then you will be able to replace the drive belts when needed and also replace any shear bolts that have gone. The shear bolts are used to protect both the right and left-hand augers as well as the impeller. They are designed to break or shear if a foreign object or ice gets stuck in them rather than damage the snow blower. A spare set is included in the box and you can also buy a set on Amazon. The warranty period on the 224P is for 3 years. Note that if you use it for commercial purposes it's only covered for 90 days. The engine is covered by a separate 5-year warranty and a 5-year ‘guaranteed to start’ warranty. These warranties cover defects in materials and workmanship and provide free repair or replacement at any authorized servicing center or dealer. These are the specs as listed by the manufacturer, just for those of you who like to know these things! Powerful enough for most homeowner snow blowing jobs. Starts easily with both the electric and recoil starters. Generally reliable, but easy to access warranty service when needed. Good range of manufacturer accessories available. Noise levels are high enough for the operator to need ear defenders. Intermittent problems reported that resulted in the auger drive belt needing replacing. Leaves a small amount of snow on the ground in some cases. The Husqvarna ST224P 2-Stage Snow Blower is a great choice for anyone with a large driveway and/or a number of pathways and sidewalks to keep clear. Powerful, easy to maneuver and smooth in operation, this model ticks all the boxes. That 24-inch wide cut will make short work of most areas a typical homeowner will need to take care of in all types of snow conditions. It may not be man enough to keep very large areas clear such as parking lots or other open spaces in locations that get lots of snow. But for occasional use in those situations it should be fine. If you need to regularly clear large open areas through the winter, take a look at the ST300 series of Husqvarna snow blowers. 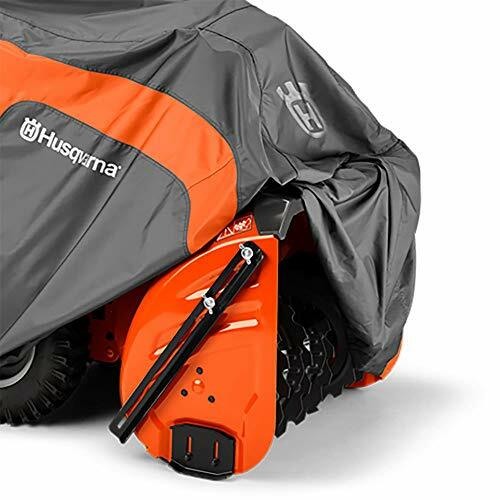 An investment for many seasons to come, if this snow thrower fits the bill then you can check for the best prices for the Husqvarna ST224P on Amazon now.